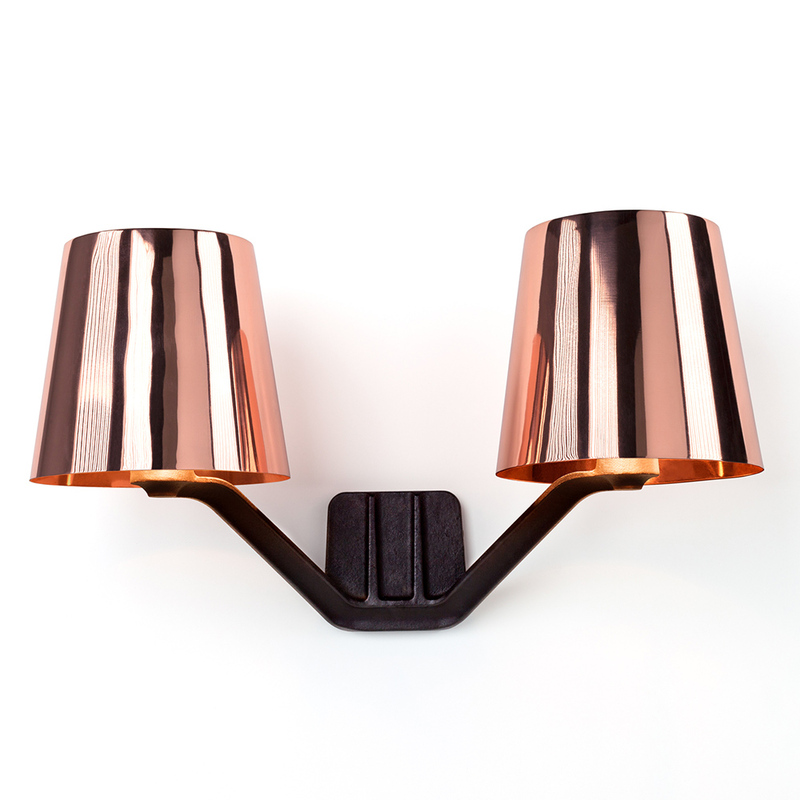 Robust and honest metalwork design is what Tom Dixon is best known for. 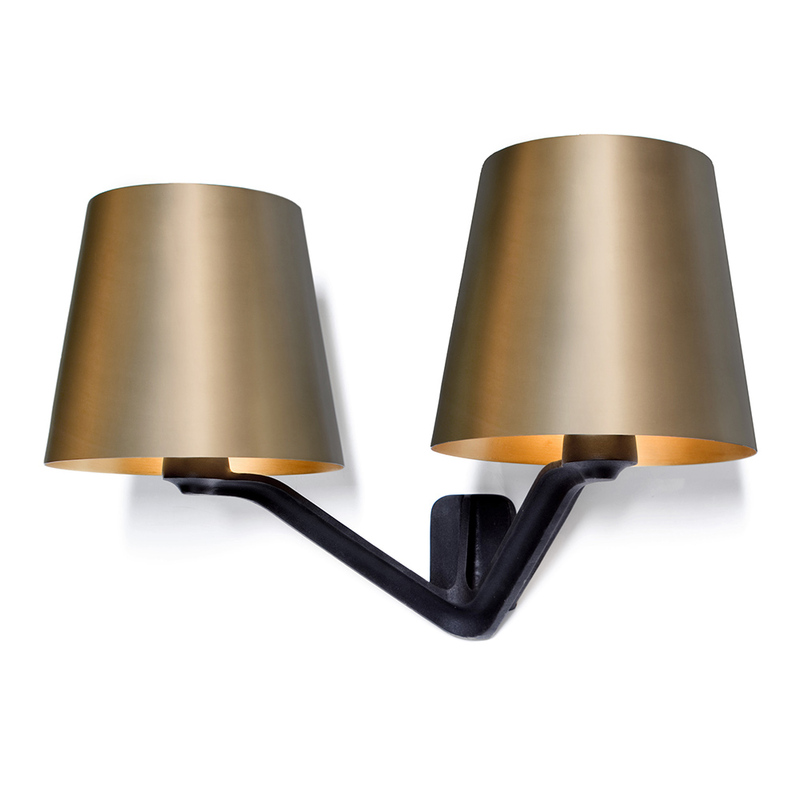 The Base Wall Light is an unusual combination of metals – a satin finished brass shade combined with a traditional matt textured black cast iron base. 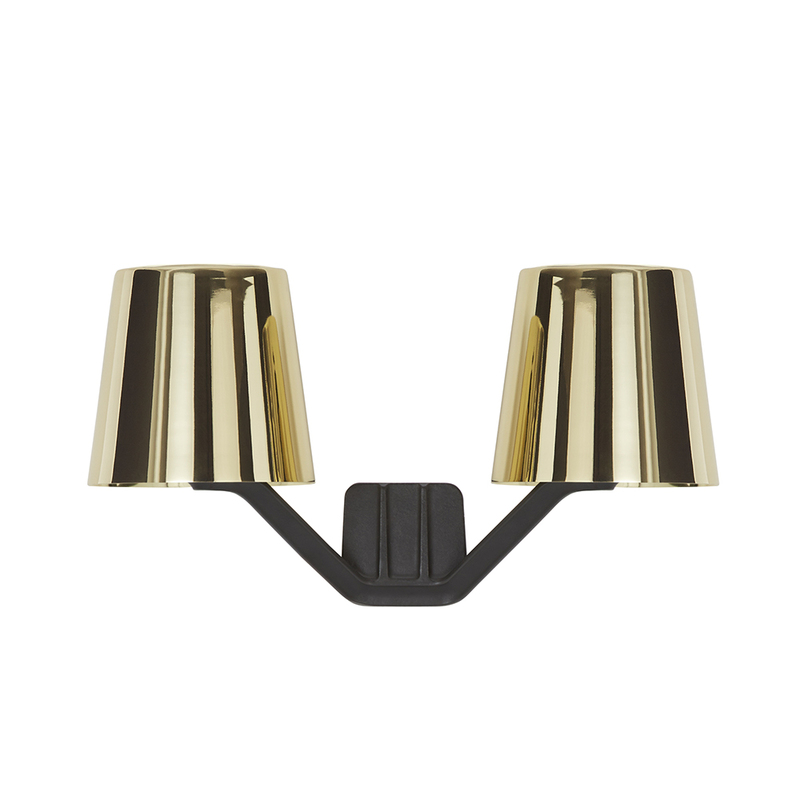 The warm hued brass gives a soft , ambient light that’s versatile enough to be used in a variety of spaces; from bedroom to living room. 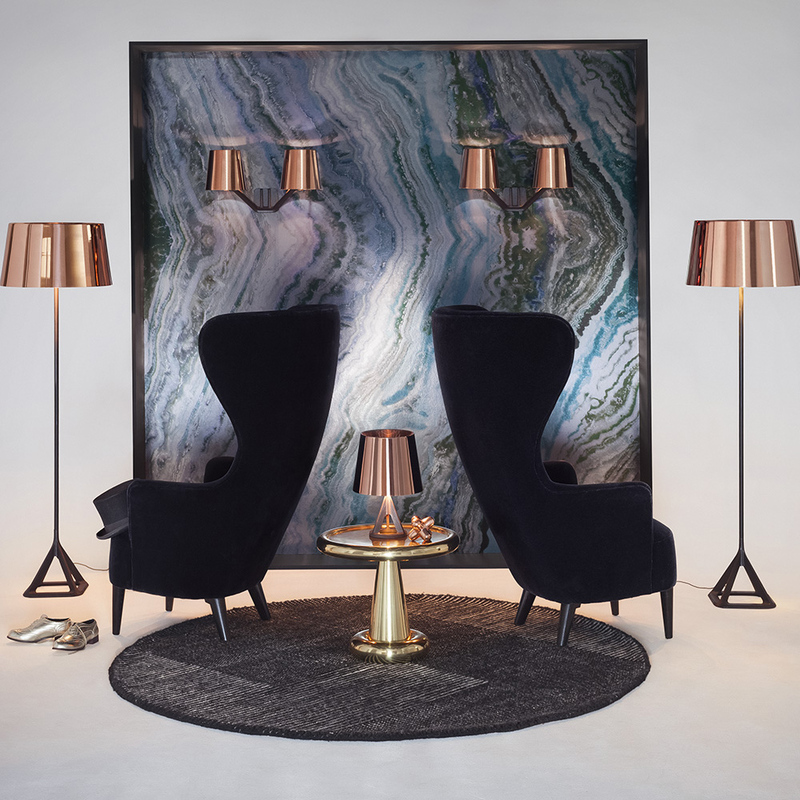 The Base Collection includes a floor light and table light and comes in a shiny Copper finish.